And life keeps laughing at me….. 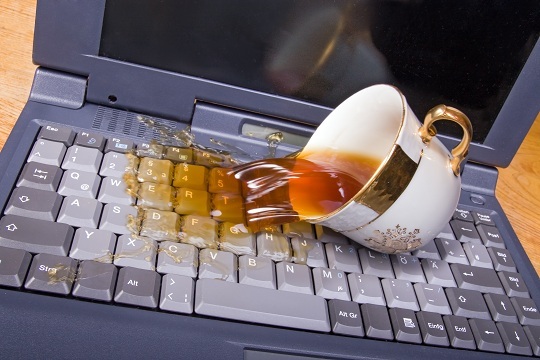 He accidentally hit his coffee and it poured onto his laptop. The laptop blinked at him as it slowly died off. Any day is a bad day to have your computer die on you but this was the worst day ever for such an occurrence. Njeru was having a bad day. He had enlisted for a competition to take photos of the new President Uhuru Kenyatta. The president had just been sworn in and photos were needed for the usual Presidential portrait. Today was the deadline for the entrants to submit a copy of their best work yet. Njeru had been unable to decide which photo to submit until the night before this deadline. He woke up early to scrutinize it one final time before submitting it to the Presidential PR Board. He made himself some coffee before sitting on the computer and that’s when he hit the mug as he settled down to open the photo and send it. He was sure it was his nervousness that had caused this tragedy. It felt like a tragedy for sure. Njeru was 40 years old. He had been a renowned photographer in his younger years but the money and fame got into his head. He left his beautiful wife of 5 years for a model he was working with and then started living recklessly. He drank too much and started doing drugs. This lifestyle nearly drove him to the grave and one day he enrolled himself into rehab. He was broke because his irresponsible lifestyle had cost him all his clients. Everyone who knew him a few years back could not even recognize him. The addictions had taken a toll on him. Rehab helped him and when he left he was determined to make something of his life. He had been sober for a full year and was delving into photography again. He was elated when he discovered that he still had the gift after all these years. Hope was rising in his heart and things were looking up. When he heard about this presidential portrait opportunity he knew it would be the big break he needed to get back with the big leagues. Getting this job would not only mean taking photos of the Presidential portrait but also every other photo of the President and his family during his presidency. Nice. Hope there’s a part II.